Being a pilot and eating the same food over and over again. Airplane food actually used to be made on board, and was much better, but for cost effectiveness they started serving prepackaged meals. Airports are extremely strict on regulations and safety, and although the premade meals are much safer than if they were made on board, there is still a risk for food related illness. 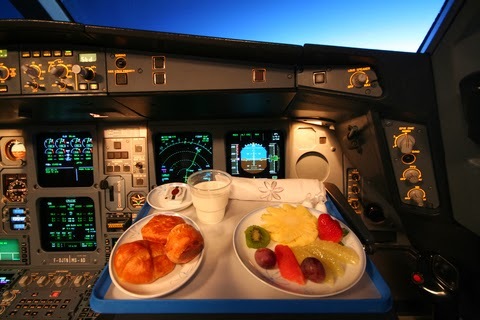 For this reason, most airlines have their pilots eat different meals. This minimizes the threat because if one meal is contaminated, it is highly unlikely that the other is, ensuring the safety of at least one pilot.